The type of trumpet used for the Feast of Trumpets historically has been some type of animal horn. Tonight at sunset begins the Feast of Trumpets (see The Book of Life and the Feast of Trumpets? ), normally referred to by the Jews as Rosh Hoshanah. It begins at the 29th of September 2008 and continues until sunset on the 30th of September. 23 Then the LORD spoke to Moses, saying, 24 “Speak to the children of Israel, saying: ‘In the seventh month, on the first day of the month, you shall have a sabbath-rest, a memorial of blowing of trumpets, a holy convocation (Leviticus 23:23-25). Those of us in the Living Church of God consider ourselves to be true Israel as the Apostle Paul taught (cf. Romans 9:6-9;24-26), hence we imitate his and Jesus’ example (as Paul advised 1 Corinthians 11:1) and continue to observe this Holy Day in the 21st century. Trumpets are used throughout the Bible and are prominent in Bible prophecy. 6 For the Lord Himself will descend from heaven with a shout, with the voice of an archangel, and with the trumpet of God. And the dead in Christ will rise first (1 Thessalonians 4:16). 51 Behold, I tell you a mystery: We shall not all sleep, but we shall all be changed– 52 in a moment, in the twinkling of an eye, at the last trumpet. For the trumpet will sound, and the dead will be raised incorruptible, and we shall be changed (1 Corinthians 15:51-52). Many who profess Christ simply do not fully understand biblical prophecy nor truly understand God’s real plan of salvation because they fail to observe the same days that Jesus, the apostles, the early church, and the true church have kept. Oddly, a greater amount actually keep demonically-inspired days (like Halloween) that the Bible never endorses. Our quandary is that we are apparently not capable of safely manufacturing $700 billion in debt securities to sell to foreigners every year, as we’ve been doing since 2005. (That this is the same total as Treasury’s bailout plan is just a coincidence.) If we keep trying to borrow that much from overseas–as you’ve probably gathered, selling debt means borrowing money–today’s quality problems may soon seem petty. For now, we can still reassure buyers around the world by slapping that GUARANTEED label on our debt. But as financial crisis and economic slowdown cause government debts to burgeon, and as commitments to Social Security and Medicare loom closer as baby boomers retire, that confidence could easily fade. The housing crash and resulting credit crunch are already forcing U.S. households to retrench. Government–fearing disaster if everybody retrenches at the same time–has stepped into the breach. Again, that makes sense in a crisis. But once the panic has passed, the U.S. will simply be steering toward another, even bigger, crisis unless it finds something to replace debt as its No. 1 export. We in the old WCG and in the current LCG have been warning about this debt accumulation for decades. And the late Herbert W. Armstrong, unlike the main current USA presidential hopefuls, as far back as the 1980s warned the Anglo-American peoples to prepare to lower their standard of living. Because it was prophesied in the Bible. Why have others not known this? Because many who profess Christ have little interest in biblical prophecies in the Hebrew scriptures (AKA the Old Testament), they simply have ignored the warnings that God inspired Moses and others to record. 43 The alien who is among you shall rise higher and higher above you, and you shall come down lower and lower. 44 He shall lend to you, but you shall not lend to him; he shall be the head, and you shall be the tail. 45 Moreover all these curses shall come upon you and pursue and overtake you, until you are destroyed, because you did not obey the voice of the LORD your God, to keep His commandments and His statutes which He commanded you (Deuteronomy 28:15-16,43-45). The “time of Jacob’s trouble” (Jeremiah 30:7) is getting close. And eventually those that lent the money will rise up against the Anglo-Americans, plunder the land, and make many their slaves (Habakkuk 2:6-8). The Dow dropped 777 points Monday after the U.S. House voted to reject a $700 billion emergency rescue plan for the financial industry. Together on the Sabbath—for a Reason! We understand from the Bible that the Sabbath is a special, sanctified day of rest (Genesis 2:1-3). When properly kept, it is a delight (Isaiah 58:13-14). We are also admonished in the Scriptures to encourage one another, “not forsaking the assembling of ourselves together, as is the manner of some” (Hebrews 10:24-25). In the early New Testament Church, members gathered together on the Sabbath to worship and fellowship with other believers (see Acts 2:1; 13:14, 44; 17:2, etc.). In doing so, they were following the commandment to “remember the Sabbath day, to keep it holy” (Exodus 20:8). Today, with many small independent groups, it is easy to assume that observing the Sabbath is all we have to do to please God and be part of His Church. However, we need to remember that God’s Church is commissioned to “go into all the world and preach the gospel” (Mark 16:15). We need to make sure that the group we gather together with on the Sabbath is part of a Church that is actively fulfilling this God-given mission. 9 There remains, then, a Sabbath-rest for the people of God; 10 for anyone who enters God’s rest also rests from his own work, just as God did from his. 11 Let us, therefore, make every effort to enter that rest, so that no one will fall by following their example of disobedience (Hebrews 4:4, 9-1,1NIV). 25 Let us not give up meeting together, as some are in the habit of doing, but let us encourage one another-and all the more as you see the Day approaching. 26 If we deliberately keep on sinning after we have received the knowledge of the truth, no sacrifice for sins is left, 27 but only a fearful expectation of judgment and of raging fire that will consume the enemies of God (Hebrews 10:25-27, NIV). With the Day fast approaching, and certainly closer than when Hebrews was written, getting together on the Sabbath is one thing that those who truly wish to support getting the full gospel to the world as a witness will do. Posted in COG News, Doctrine | Comments Off on Why Together on the Sabbath? There are rumors going around that because of the popularity of Sarah Palin, that Barack Obama may pick Hillary Clinton to replace Joe Biden as his vice-presidential nominee. Could Clinton still come back? The internet is buzzing today with the rumour that Barack Obama’s gaffe-prone running mate Joe Biden will drop out of the race for health reasons – to be replaced by Hillary Clinton. John McCain’s selection of Sarah Palin as his running mate has created so much interest in the Republicans that Mr Obama will have to make a radical move to regain momentum, the argument goes. Mrs Clinton could be just the key. Mr Biden, who had surgery in 1998 to repair two brain aneurysms, would drop out after the vice presidential debates due to be held on October 2, according to the claims – leaving the way open for the former First Lady. Most are dismissing the rumour as the usual internet chatter. But it has been given added weight by those who have not addressed it – namely Fight the Smears. 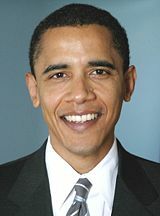 Fight the Smears is a website the Obama campaign set up to quash just such damaging Internet rumours – but it has not yet touched this one, though that may be out of fear of fuelling the rumour. Biden has caused several problems for the Obama campaign. This week he was forced to issue a clarification after he called one of his own campaign ads “terrible” in an interview with CBS News. He was also rebuked Obama after he spoke out against the government bailout of American International Group last week before Obama was ready to take a position. On Tuesday, he said that President Franklin Roosevelt had gone on television in 1929 to discuss the Wall Street crash – but Herbert Hoover was president in 1929 and the TV hadn’t been invented yet. At one point, he even said Hillary Clinton might have been a better pick for Obama’s No. 2. I went to the Obama campaign’s Fight the Smears website this morning, and it still had not commented on this rumor (though that is not surprising). Having watched some of the debate on BBC last evening before sunset, I noticed that Barack Obama once again praised his running mate, Joe Biden. So, unless Joe Biden really does have more health problems and/or John McCain surges in the polls, I really doubt that Barack Obama would pick Hillary Clinton. But of course, stranger things have happened. Might Hillary Clinton Partially Fulfill Bible Prophecy? 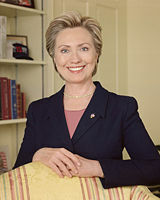 Although it is not likely that Hillary Clinton will be vice-president, what if she does attain that office? Posted in Prophecy | Comments Off on Obama Still to Pick Hillary? So, in the interests, of rescuing him from the no-man’s-land in which he has become trapped, here are 10 Darwin quotations, from his later years, which you are unlikely to hear from the mouths of either creationists or atheists in 2009. Of course Charles Darwin was never a true Christian–but he did tend to believe in some type of God. The reality is that although his evolutionary model was flawed and he admitted to some of its weaknesses (see Is Evolution Probable or Impossible or Is God’s Existence Logical? ), those that wanted freedom from religion (or at least many of the moral associated with it) grabbed onto his writings anyway. 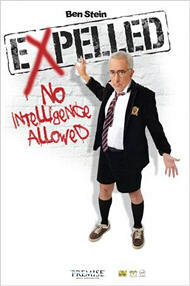 Interestingly, however (as partially documented in the Ben Stein movie earlier this year called Expelled: No Intelligence Allowed, for more information see the article Ben Stein’s Expelled) there are a lot of people in academia that are not interested in the scientific flaws of evolution being publicly taught. Hence, many foolishly assume that somehow evolution is is accepted by scientists who have actually not violated scientific principles. Of course, there is a God and God created life. And that is the only explanation of the origin of life that does not violate all known laws of science. There are several indications that the political leadership in the UK is leaning a bit more towards Catholicism. LONDON (AFP) — The government is drawing up plans to end a 300-year-old exclusion of Catholics from the line of succession, as well as ending the priority given to male heirs, according to a newspaper report. 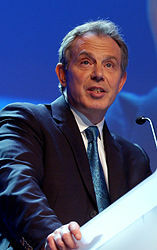 A parliamentary briefing paper published in August warned that changing the law “could open up extremely complex constitutional issues”. LONDON (CNS) — Anglican Archbishop Rowan Williams of Canterbury, England, has come under fire for his homily during a pilgrimage to the Marian sanctuaries in Lourdes, France. Archbishop Williams, leader of the worldwide Anglican Communion, said in a homily during a Sept. 24 international Mass at Lourdes that when Mary appeared to St. Bernadette Soubirous in 1858 “she came at first as an anonymous figure, a beautiful lady, a mysterious thing, not yet identified as the Lord’s spotless mother. The archbishop later was criticized by the England-based Protestant Truth Society, a group of Anglicans and nonconformists committed to upholding the ideals of the Protestant Reformation…Jeremy Brooks, the group’s director of ministry, said: “All true Protestants will be appalled that the archbishop of Canterbury has visited Lourdes and preached there. Archbishop Williams was invited to the sanctuaries, where Mary appeared to St. Bernadette 150 years ago, by Bishop Jacques Perrier of Tarbes and Lourdes. His visit is the first in modern times by an archbishop of Canterbury. Archbishop Williams held talks there with German Cardinal Walter Kasper, president of the Pontifical Council for Promoting Christian Unity, who celebrated the international Mass. While some may ultimately feel that they are safer with Catholicism, the Bible indicates that any such safety will only be temporary. Europa, the Beast, and Revelation Where did Europe get its name? What might Europe have to do with the Book of Revelation? Will apparitions of “Mary” affect Europe’s future? Mary, the Mother of Jesus and the Apparitions Do you know much about Mary? Are the apparitions real? What might they mean? How might Mary view them? Posted in Prophecy | Comments Off on England Leaning More Catholic? Many Old and New Testament prophecies describe the coming Day of the Lord, including those of the seven trumpets in Revelation 8-11. They create a composite picture of a time of blowing of trumpets, a time of catastrophic war, and a time when all nations will be brought together to be judged by God. The Feast of Trumpets contains an important message for Christians. In fact, it is the most important news on the globe today. It heralds the gospel’s emphasis on repentance and judgment, the warning blasts of the shofar, the Day of the Lord and the proclamation that the Messiah is returning to establish God’s Kingdom on the earth. Jesus Himself makes a key statement in His Mount Olivet prophecy recorded in Matthew 24: “Immediately after the tribulation of those days the sun will be darkened, and the moon will not give its light; the stars will fall from heaven, and the powers of the heavens will be shaken. “Then the sign of the Son of Man will appear in heaven, and then all the tribes of the earth will mourn, and they will see the Son of Man coming on the clouds of heaven with power and great glory. And He will send His angels with a great sound of a trumpet, and they will gather together His elect from the four winds, from one end of heaven to the other” (verses 29-31). Notice that the return of Jesus Christ is accompanied by the sound of a trumpet. The apostle Paul encourages Christians to keep the coming Day of the Lord in mind. He writes to the church in Thessalonica: “For you yourselves know perfectly that the day of the Lord so comes as a thief in the night. For when they say, ‘Peace and safety!’ then sudden destruction comes upon them, as labor pains upon a pregnant woman. And they shall not escape. “But you, brethren, are not in darkness, so that this Day should overtake you as a thief. You are all sons of light and sons of the day. We are not of the night nor of darkness. Therefore let us not sleep, as others do, but let us watch and be sober. For those who sleep, sleep at night, and those who get drunk are drunk at night. “But let us who are of the day be sober . . . For God did not appoint us to wrath, but to obtain salvation through our Lord Jesus Christ, who died for us, that whether we wake or sleep, we should live together with Him” (1 Thessalonians 5:2-10). Indeed, the resurrection of the saints to reign with Christ in glory will come at the sounding of the last trumpet (1 Corinthians 15:51-52; 1 Thessalonians 4:16-17). The prophesied Day of the Lord is coming. The trumpet will sound, the saints will be raised from the grave and Jesus Christ will return to establish His Father’s Kingdom on the earth. The Feast of Trumpets begins at sundown next Monday and runs until sundown on Tuesday, September 30, 2008. Contrary to certain Protestant claims, perhaps it should be mentioned that the Bible shows that the Day of the Lord last one year. For it is the day of the LORD’s vengeance, The year of recompense for the cause of Zion (Isaiah 34:8). 1 To proclaim liberty to the captives, And the opening of the prison to those who are bound; 2 To proclaim the acceptable year of the LORD, And the day of vengeance of our God; To comfort all who mourn, 3 To console those who mourn in Zion (Isaiah 61:1-3). Within the Living Church of God it is understood that the seven trumpets plagues of Revelation 8, 9, and 11, and the seven plagues of Revelation 16 essentially constitute much of what will happen in the “Day of the Lord” (though certain events in Matthew 24, Zechariah 14, and other portions of the Bible are also fulfilled then). John records a vision of seven angels, with seven golden bowls that pour out seven final plagues, one after another. This pouring occurs rather quickly, as we see when we examine the nature of the plagues. If the second and third plagues, for instance, lasted more than a few days, all life would perish from the planet. It is important that we realize now, and in the crucial years ahead, that God’s victory is certain. This history has already been written in advance! Therefore, it is imperative that we come out of this world’s Babylonish system (18:4), and give our total and true allegiance to Jesus Christ and the message that He taught! There are many details, but basically this “Day of the Lord” is God’s vengeance on the world for persecuting His people and not listening to His servants like the two witnesses. The LHC certainly may provide the EU with helpful technical and probably ultimately military insights, but the end is not yet. Perhaps I should mention that Germany’s Angela Merkel indicated basically the same thing last week. And while the Anglo-American powers will ultimately fail (see Anglo – America in Prophecy & the Lost Tribes of Israel) and Europe will rise (see Europa, the Beast, and the Book of Revelation), the end is not yet. Furthermore, I should perhaps again explain that the 1335 days of Daniel 12 will NOT begin next week on September 30th, despite the claims of CGPFK’s Ronald Weinland nor the writings of Shining Light’s James Malm. Everything is rapidly moving forward, and on Trumpets of this year we will have entered the final 1335 days before the return of Jesus Christ and the establishment of the government of God over all the earth. The Feast of Trumpets is next Tuesday. And if major persecutions do not afflict the church as Daniel and Jesus indicated then (see Who is the King of the North? ), it should be clear that CGPFK’s Ronald Weinland was once again wrong (although like the last time he got this wrong, CGPFK’s Ronald Weinland stated that what occurred was “spiritual” so only he and a select few could see it–then later he changed his date). The 75 days is the 1335 days of Daniel 12 minus the 1260 days. The end of September is next Tuesday, and since the biblically required prerequisites have not occurred yet (such as the deal in Daniel 9:27, the lack of a King of the North , the lack of a true King of the South, etc.) it is not possible that the 1335 days can begin next week. Mistranslations of the Bible have long caused concerns. (IANS) – Controversial lines in a translated version of the Bible in Jharkhand rocked the state assembly Tuesday, leading to an assurance by the government that the book would be recalled. Chandresh Oraon, a Bharatiya Janata Party (BJP) legislator, moved the motion to stop work in the assembly Tuesday and demanded a debate on the lines in the translated Bible that call for destroying tribals’ places of worship. The book in Kuduk language, one of the main tribal languages in Jharkhand, has been brought out by the Bible Society of India (BSI). “BSI has done a criminal act by publishing such derogatory remarks in the translated Bible. This is a conspiracy against the tribal society. “We seek a probe and action against the society for publishing the book which hurt the sentiments of the tribal,” said Oraon. The BJP tribal legislators came in the well of the house and shouted slogans like “Stop hurting tribal sentiments”. Deputy Chief Minister Stephen Marandi said: “We admit the fault. Wrong translation of Bible has been done by BSI. “The state government will recall the translated version of the book and take suitable action against the publisher,” he added. Marandi, however, did not clarify what action would be taken against the publishers. The BJP legislators were not satisfied with the reply and they shouted slogans. They demanded action against the publisher. The Congress legislators alleged that the BJP was politicising the issue. A deep resentment is prevailing among the tribal scholars on the issue. Tribal scholars demanded suitable action against the publishers. “The Christian missionaries have no right to hurt the sentiment of the tribal people. The issue could take a volatile shape if such things take place,” said Karma Oraon, a tribal scholar. On Monday, 11 tribals were arrested in Ranchi for trying to burn the copies of the Bible. The above seems to be an extremely odd translation. Apparently the translator was trying to make his/her own discriminatory “point”. When thou shalt besiege a city a long time, in making war against it to take it, thou shalt not destroy the trees (Deuteronomy 20:19; KJV). Mistranslations of the Bible and other early writings have affected how many view Christianity. You are currently browsing the Church of God News weblog archives for September, 2008.